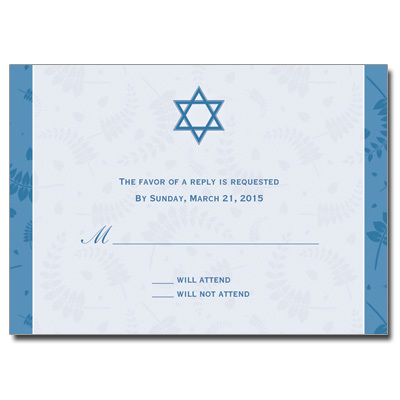 Clean and classy! 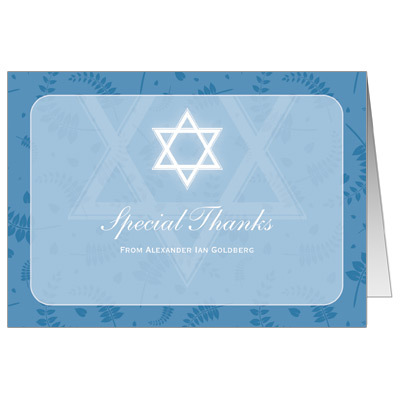 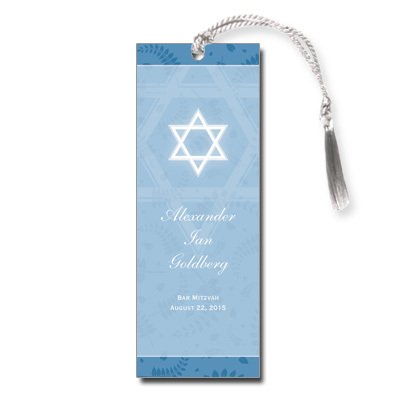 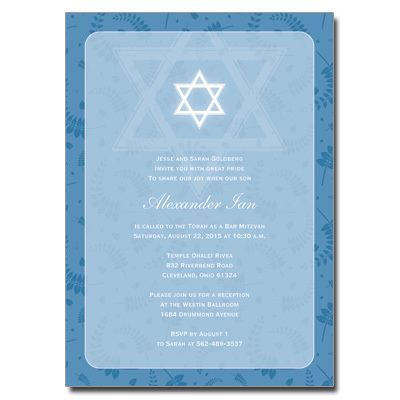 With two shades of blue and a beautiful Star of David design, your guests will be sure to compliment you on these save the date cards. 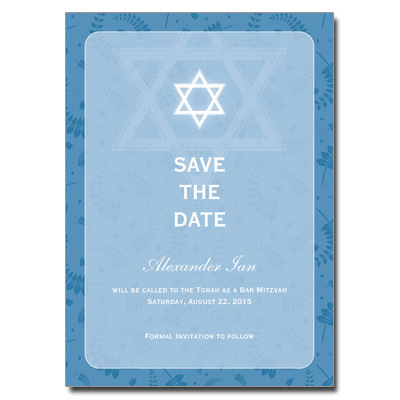 Save the date card measures 5x7.